It's the most mythic of all American emporiums - and the scene of many an ultimate fashion fantasy. 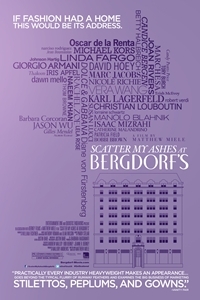 Now audiences get a rarified chance to peek behind the backroom doors and into the reality of the fascinating inner workings and fabulous untold stories from Bergdorf Goodman's iconic history. The legend, the parties, the fashion idols, the windows, the women, the buyers and shoppers -- and most of all, the quintessentially American dreams of New York's high-fashion hot-spot - all come to life in an ode to a realm where creativity and commerce reign equally supreme. A look at not just the glamour but the passion behind the daily creation of this luxury mecca in a film as dynamic, lush and intimate as the store itself.